Just like the surfaces in your facility, your cleaning equipment contain bacteria and require cleaning. Taking care of your cleaning supplies will prevent their replacement and lead to better overall cleaning. 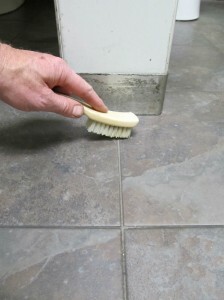 All cleaning supplies require a unique cleaning process dependent on its manufacturer and type. 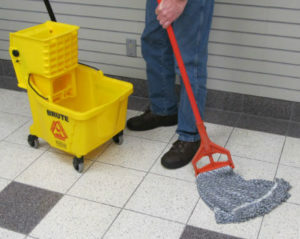 For instance, one company’s mop will be cleaned differently from another company’s. The spread of germs decreases when your supplies are cleaned correctly. After each use of your broom, collect the dust and debris that remain on the bristles and dispose of it. Dust should be removed from bristles weekly as well by banging the broom against an outside wall or by vacuuming the bristles. 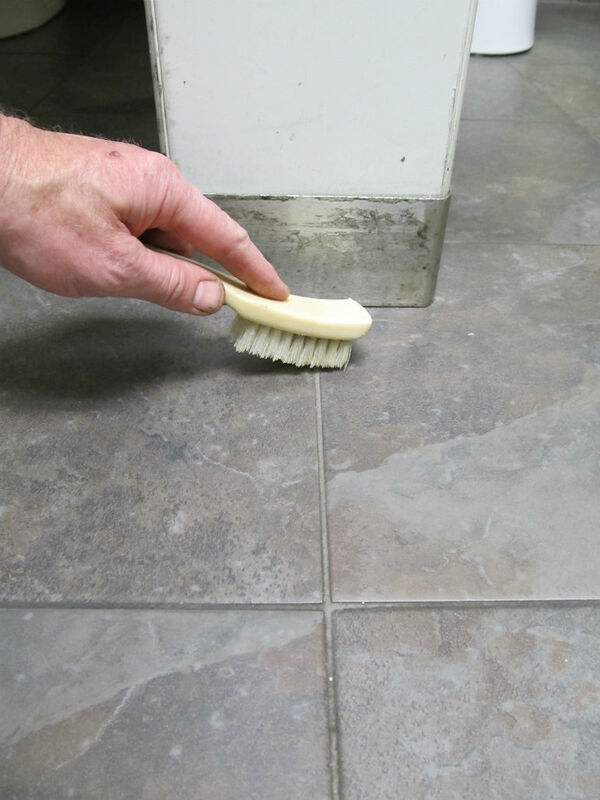 It is critical that you know what your broom’s bristles are composed of because some become ruined when wet. If the bristles are not damaged when wet, you can clean your broom by rinsing it and suspending it to dry. Mops and rags can often be thrown into the washing machine to be cleaned. Fabric softener creates a film that prevents the retention of liquids and should therefore not be added to the wash when cleaning your mop heads or your rags. If the mop cannot be placed in the washing machine rinse the mop with warm water when you are done using it. Do not leave mops to dry on their mop heads because it can lead to mold growth. Sponges can be cleaned inside the dishwasher. If no dishwasher is available, you can place the wet sponges inside the microwave. To clean using the microwave, run them on high for two minutes. Do not put them in the microwave if your sponge contains metal. When cleaning brushes, rinse them with warm water and do not soak them. To keep your brushes in good condition, place them on their blocks when not in use. To clean your bucket, first empty it and then rinse it with an appropriate cleaner. After you rinse the bucket, dry it completely before you store it to avoid bacteria growth. For a listing of cleaning products, please visit the Multi-Clean Products webpage. For a listing of guide sheets and cleaning information, please visit the Multi-Clean Guide Sheets webpage.